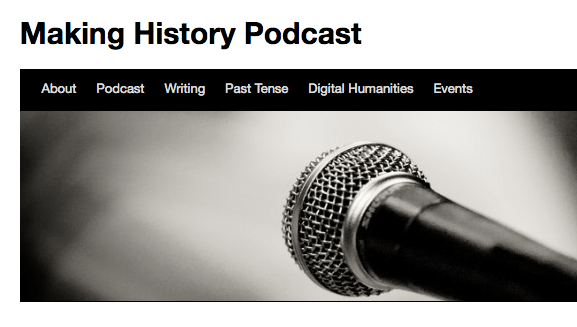 I started the Making History Podcast ten years ago when I realized that I wanted to talk to historians about the craft of history-making, and especially to hear about how they organized their research at each phase of their project–from the initial forays into the archives to the writing process. I wanted to learn about their serendipities and frustrations, and to demystify the notion of the scholar working alone in the ivory tower. The podcast has fallen by the wayside in the ensuing years, primarily being a victim to my working full-time in university administration. Podcast episodes took about ten hours to produce and I simply haven’t allocated the time for that type of labor in the past few years. However, I have a new endeavor that will launch this afternoon, that will be in the same vein as my Making History podcasting efforts, called Voices From the Archive, Letters During War. 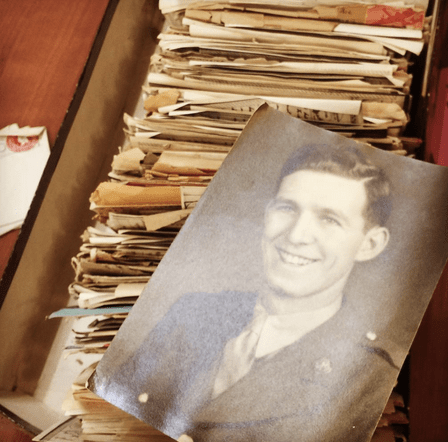 I’ll be taking a virtual audience into the Archive with me, to spend some time working in correspondence held in the Chapman University’s Center for American War Letters Archive. Rather than using podcasting technology, I’ll be using Facebook Live to record the events, and supplementing that with links on FB and Twitter. And this will not be a solo effort, as I will have librarian and writer Doug Dechow as my partner in this venture. The intention behind the FB Live programming stems from two primary motivations. The first of which is to foster the kinds of discussions that I had in my podcasts–to have scholars engaging with primary source materials and to talk about how they will use those materials to support their research questions. The second motivation is to explore the wealth of holdings of the CAWL Archive and to share with the public the rich source of materials that are available there. Holding the correspondences of soldiers abroad in my hands was an incredibly moving experience. I now have the desire to do research and see if these authors ever made it back to Pier 17 in San Francisco, where they swore to meet after the war. In sharing a few bits and pieces from the treasures held in the CAWL Archive via social media over the past few months, I’ve seen that these materials are meaningful to a wide variety of people that extends far beyond the scholarly audience. Nearly everyone has a family member whose life has been touched by war and the memory of that experience shapes their identity and worldview in a myriad of ways. 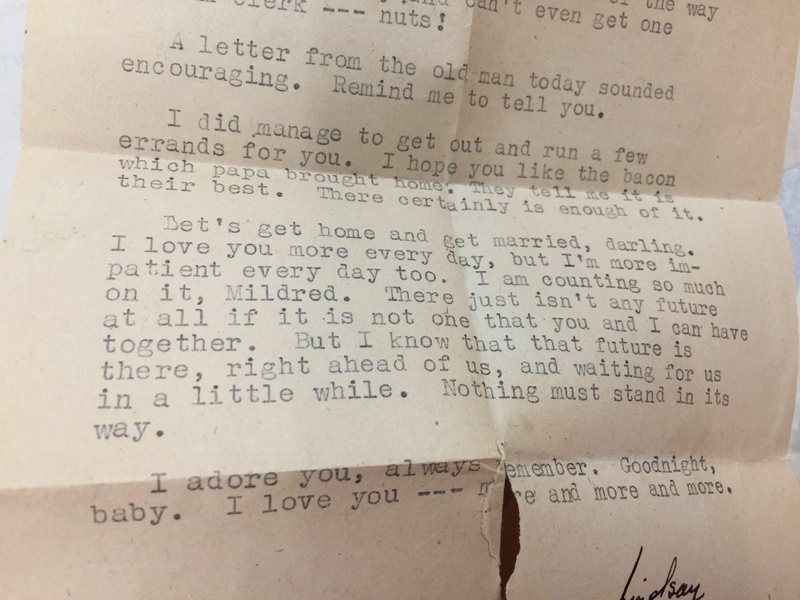 Also, there is an element of innate human curiosity that stems from peering inside the personal correspondence of people who lived not so long ago. How much are they like us? How are they different? And what was it like for them to live through such an important moment in history? If you’d like to follow along and j oin in this project, please follow our brand new Facebook page, where you can access the FB Live broadcasts as well as view other media that we’ll add to the research that we’re doing in the Archive. We also have a Twitter feed where we will regularly share small excerpts from the Archive.